Following on from another busy yet successful Care Roadshow in Birmingham last week for both exhibitors and visitors, we managed to have some time with our Headline sponsors QCS who have supported Care Roadshows over the past year. With 17,000+ users nationwide, QCS provide support and assistance to each and every one with their comprehensive and high quality bespoke Care Quality Commission (CQC) management service for Dentists, GPs and Adult Social Care providers. 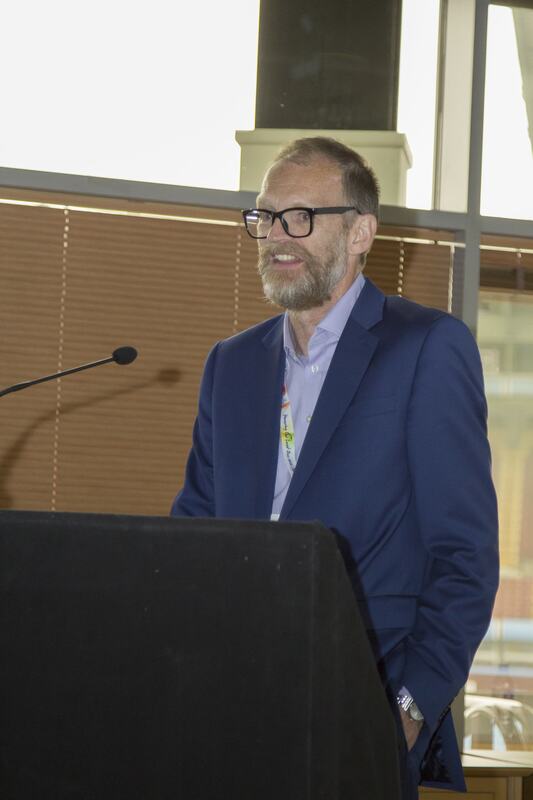 Ed Watkinson, Director of Care Quality provides Care Roadshows with insightful and educational seminars on how to achieve an outstanding rating and outlines the many challenges faced by providers. The support he offers at the shows are always greatly received from our visitors as his seminars attract a large audience, with no empty seats in the house. Can you please provide us with a brief background of your career and how you got into the care industry? To be honest I fell into the care industry by accident, as I suspect a lot of others do – it was a friend of a friend that said I should give it a go, and that was over 20 years ago. I started as a care assistant in a residential home for people with learning disabilities. Whilst there I undertook qualifications in my own time and gradually worked my way up to be a Registered Manager and then an area manager. Care is an area where if you show aptitude, dedication and have the right approach you can forge a very rewarding career. I joined the first national regulator of social care in 2002 and started on a career of inspection and regulation, and grew with the various regulatory bodies including the NCSC, CSCI and CQC. During my time I was an inspector and also had a more national role developing methodologies and improving the way inspections were done. I have also been a commissioner of care services, including the development of new and innovative services, and worked for a large private care provider as an ‘internal regulator’. In 2014 I was asked to return to CQC as an advisor and was a key member of the team developing the PIR, inspection guidance and in the training of inspectors on how to implement the latest inspection process based on the 5 key questions and the Fundamental Standards. I joined Quality Compliance Systems as the Director of Care and Quality in November 2015, and am leading on the development of products to make life easier for care services with regard to policies, procedures and what CQC might be looking for as a regulator. In your opinion, what are the biggest challenges facing the care sector today? 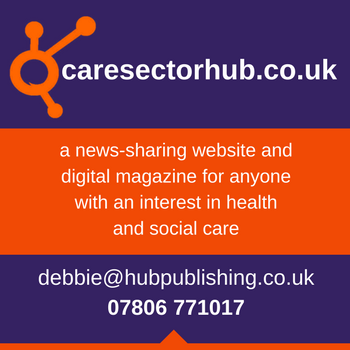 Firstly, the lack of respect the care industry and care workers receives from the media – only bad news stories are published and this reflects poorly on the sector and the really good work done by the vast majority of people involved in this vital business. Another serious challenge faced by providers is being asked to do ‘more with less’, commissioners and regulators are constantly requiring improved quality, but are largely unwilling to pay for it, or provide resources to enable this to happen which further squeezes providers and ramps up the pressure on them. A third major challenge facing the care sector is the support for registered managers to do their jobs effectively – it is a hugely challenging role with a wide variety of pressures and responsibilities and there needs to be improved networks and information that is easily accessible for them. If you could make one change within the industry, what would it be? I would make it so care workers are registered, with the intention to give the care industry more widespread respect and encourage care to be a positive, respected and more generally valued career choice for people. I am fed up with people saying ‘I am just a care worker’ – it is such an important role, and the people that support the most vulnerable members of our society should be proud of what they do and have the contribution they make universally recognised. What has been your biggest learning experience so far? Being a care assistant was my biggest learning experience, closely followed by being a registered manager – it was a huge challenge and made me understand the importance of treating people with respect, dignity and empathy. And as registered manager this was expanded to include staff as well as service users. I would have challenged poor practice sooner and more forcefully in my early career, as it is still something that I think I should have done, and could have made more of a difference to people’s lives. What is the number 1 question you get asked by care providers? When am I going to be inspected? How do you think Britain exiting the EU will affect the care industry? Hopefully the impact won’t be too great. But I do fear that any restrictions on EU migrants, or people being asked to leave the UK will reduce the number of good quality people available to provide support, and this could mean increased staff shortages and the quality of staff being lessened over time. How do you think regulation is going to change in the future? I think there will be more ‘self-assessment’ as the resources available for regulators are shrinking all the time. Hopefully there will be a more ‘grown up‘ relationship between regulator, providers and other stakeholders and more respect of the challenges being faced, and more commitment to encourage improvement and assist – rather than blame. Do you think inspections by CQC are fairly rated? Generally, yes, but think there is a lack of recognition of high quality services – and to achieve ‘outstanding’ as a rating is becoming too hard to achieve and a disincentive for improvement rather than a way of encouraging improvement. In my experience providers tend to be satisfied with ‘good’. What product or service would you say is necessary to have to maintain the highest standards of care? Robust recruitment, Induction and training of staff is essential, as is having the right policies and procedures. Systems that promote and encourage a process, and give a framework for high quality delivery of care are vital. A clear direction of travel of the business, and a positive approach to providing care for vulnerable people is vital for sustained high quality care. If the quality of the service is right then everything else should fall into place, to instil high quality there need to be robust processes that are regularly reviewed, updated and audited. Also to have the quality of the service recognised then external stakeholders such as CQC or the Local authority need to confirm that they think the quality is high – and the only way to do this is for the service to have a wide range of evidence available to demonstrate the quality provided. And finally, which 3 people, famous or otherwise, would you invite to dinner? This has been a difficult one to answer, but these are my thoughts today – but ask me tomorrow and they may be different! If it is any time in history I would invite my dad who died 5 years ago – and just have a glass of wine and a catch up. Clement Attlee – He set up the NHS and welfare systems after the second world war and I would ask him whether he is pleased with what the last 65 years have achieved. A big thank you to QCS for their ongoing support this year and enabling Care Roadshows to continue to go from strength to strength and provide an informative and worthwhile event to all those who attend. Tickets are free to attend Care Roadshow Cardiff and includes entry to all seminars and workshops. Be sure to not miss out. 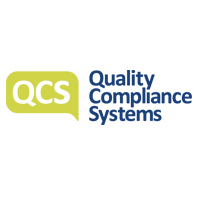 To find out more about Quality Compliance Systems, visit their website here. Ed will be speaking again at Care Roadshow Cardiff on 18 October 2016, focusing on the new Social Care and Wellbeing Act that is going to make big changes to the way people provide care in Wales this year. Click here to register for free tickets to these events.